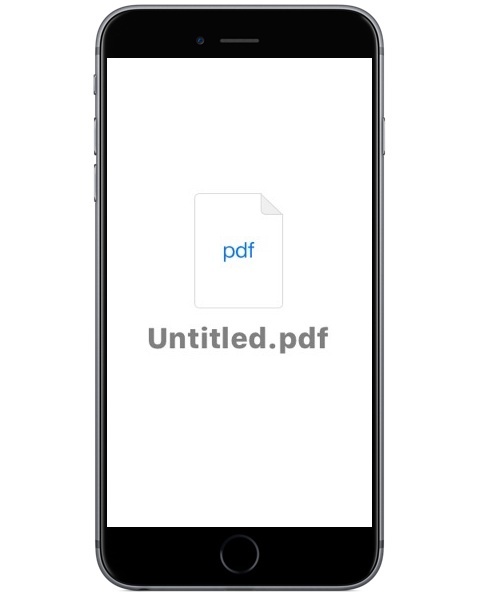 I can’t think of a reason WHY anyone would ever need to wrap a picture inside a pdf. Unless one was really trying to annoy the recipient while emailing it. Regular jpg format is much more portable than the pdf format, and not tied to adobe. Maybe for printing. It’s often easier and faster to print from a pdf than directly from a jpg image, especially if it is hi res. 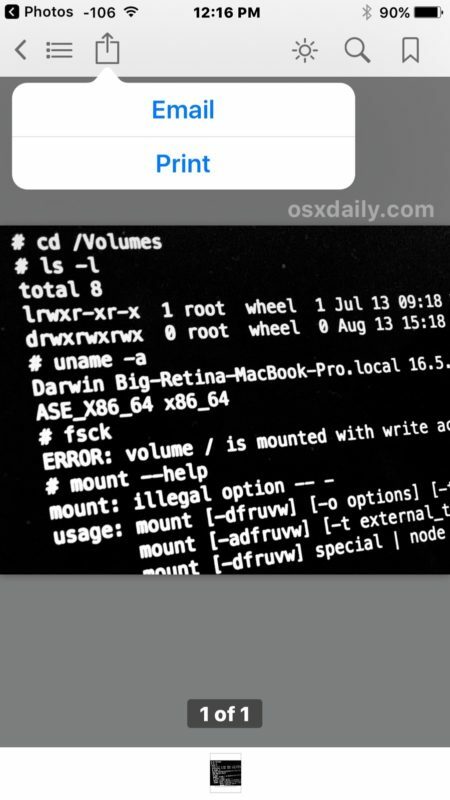 Well how about just to have it available in iBooks? It might be an invoice or a concert ticket, having it as PDF feels more secure and readily accessible. That’s not quite true. 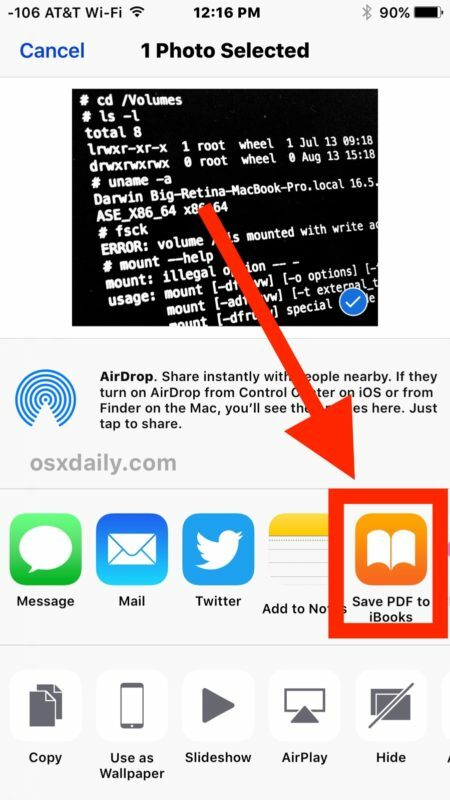 You can use the save as pdf trick directly for photos AND still save the pdf locally. 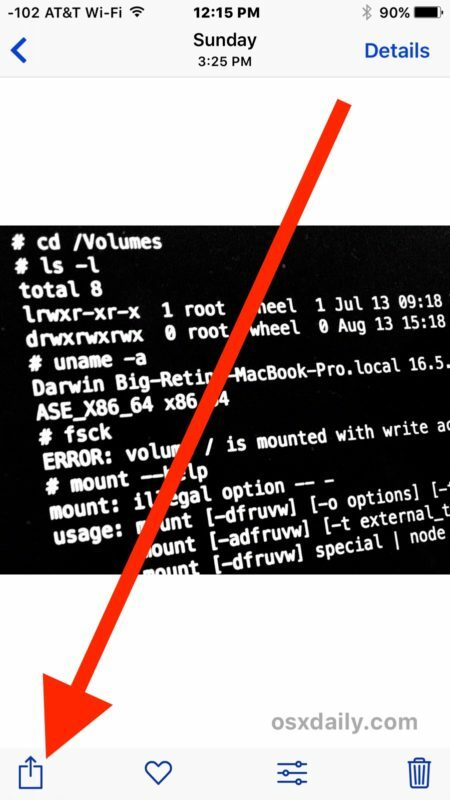 This is because, even when using that trick to cpnvert to pdf, there will still be an “import with ibooks” option available in the share sheet. And sometimes, especially when converting webpages or photos, the file obtained by using the trick may be better formatted than the one obtained when converting by importing directly to ibooks. I forgot to mention in my previous post that, although all pdf files imported to ibooks are stored locally on the device, starting in iOS 10 they are also available for download via icloud from the ibook app on other devices using the same icloud account.